For most individuals the excitement of goal setting can leave them with too many goals and not the needed internal resources to succeed in multiple endeavors. By limiting the amount of goals we set, we are able to focus our attention in a more directed manner. This also allows us to more thoroughly cultivate the needed expectations for success. Focused-attention and the right expectations are vital for achievement. The tools found within the self-help industry offer us a way to unify our personal development approach so that these two mental-musts can all but guarantee our success. 1937 marked the end of a 20 year journey that would forever change our ideas about success and achievement. It was in this year that Napoleon Hill published the book that largely induced the creation of the self-help industry, and it was also in this year that we started looking at the achievement process with a systematic approach. For Hill, the previous 20 years were spent, with the help of mega-industrialist Andrew Carnegie, studying the lives of the greatest achievers of his time. He meticulously investigated the likes of Roosevelt, Edison, Rockerfeller, and Ford in hopes of developing a precise achievement approach that the general public could use to reach their goals. Since Hill published, “Think and Grow Rich,” which revolutionized the way we view achievement, the self-help industry has evolved into a multi-billion dollar industry featuring new and innovative thinkers, ideas, and strategies. Yet, still today many of Hill’s ideas are considered to be cornerstones for success seekers, and even before 1937, modern-day achievement strategies were being used by the most success individuals. 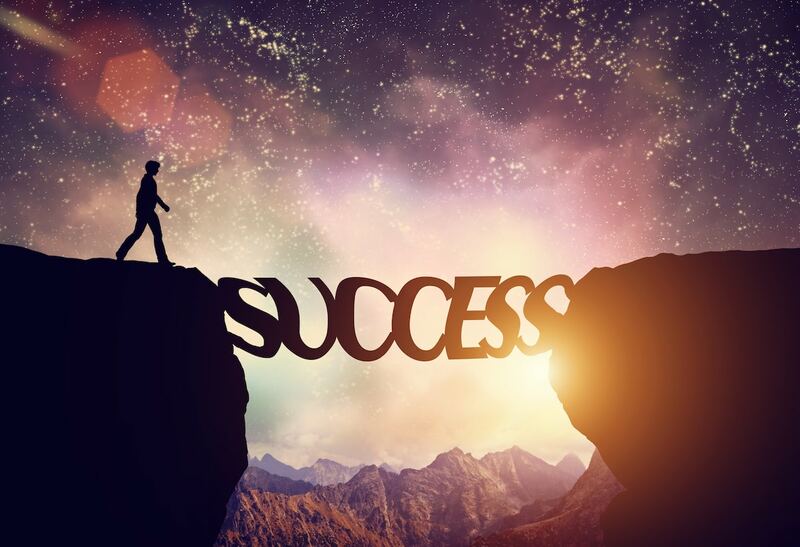 By understanding the intricacies of achievement, you have the ability to unify your personal development approach in a way that guarantees success. There are 2 important mental processes that have been used since before the 1900s, by the most successful individuals, and still today they are 2 of the most important mental steps needed for modern-day achievement. Without cultivating the right expectations and developing unwavering focus, the chances that we will achieve our desired outcomes remains slim. Before we discuss these two mindset-musts, let’s briefly look at the initial step for any achievement strategy: Goal Setting. After our goals are defined, it is vital to cultivate the right expectations for achievement. We have to form an unwavering belief within us that we can and will succeed in our endeavors. This may mean that we have to first change our limiting beliefs before we can get to where we want to be. The late great American inventor and engineer Charles Kettering, who held 186 patents, understood this well and said, “High achievement always takes place in the framework of high expectation.” Unless you first have the belief that you can do something, achievement most likely will remain unattainable. The second important mental aspect of the achievement process is focused-concentration. We need to make sure that we remain focused on both our long-term desired outcomes and the important stepping stone tasks that we must take each day. Modern day self-help masterminds Tony Robbins and Brain Tracy regularly teach about the important of focus. For example, Robbins says, “One reason so few of us achieve what we truly want is that we never direct our focus; we never concentrate our power. Most people dabble their way through life, never deciding to master anything in particular,” and according to Tracy, “The key to success is to focus our conscious mind on things we desire not things we fear.” It is equally important to focus our attention on the things that we want and on the given tasks that we have to take to reach achievement. To help us focus our attention, and cultivate the right expectations, there are a number of personal development tools that can be used to assist us on the path towards success. After we have set definitive goals, there are a number of tools that we can utilize to enhance the probability of achieving our desired outcomes. Before we look at how we can unify our personal development approach, lets review some of these tools so that we can use them to explain the unification process. Goal Review: Regularly reviewing our detailed goals can help us keep our attention focused on the process of achievement. Reviewing our goals, and the daily activities that are needed to achieve them, will ensure that we move one day at a time without becoming frustrated along the way. Affirmations/Incantations: Regularly repeating positive short sayings, in an emotionally charged way, can help us change our unconscious beliefs that may be limiting us from achieving what we desire. These saying should be positive, and said in the past tense as if we have already accomplished our preferred outcome. Information Intake: To cultivate the right expectations we may need to gain additional skills and knowledge. We can gain greater confidence by using our free time to read about a particular subject, talk to people who have accomplished what we desire, or take classes to increase our understanding and expertise on any given topic. Visualization Exercises: Visualizing ourselves having already accomplished our goals can help keep our goals fresh in our mind. It can also give us added incentive for taking the needed actions each and everyday. Finally, visualization can assist in the process of cultivating the right expectations. Conscious Questions: Asking ourselves conscious questions on a daily basis is a great way to stay focused on the achievement process, monitor our progress along the way, and find creative alternative to shorten the time it will take to succeed. Meditation: The practice of meditation is primarily considered a tool for spiritual growth, but it can also assist us achieve external results. Meditation can help us determine if our goals are what we truly want at the deepest level of our being, and more importantly, by regularly practicing we can increase our levels of self-awareness which will allow us to find, address, and resolve our limiting beliefs. Regardless if you use the tools listed above, or completely different ones, the important thing for you to understand is that each personal development tool and activity should be utilized to help cultivate the right expectations and keep your attention focused on the process of achievement. In regard to focused attention, it is vital that you limit your focus to one or two primary goals, as this will allow you to focus more fully on these things. For many people, the personal development process can be so enticing that they set too many goals, which results in lower levels of focused attention. Lastly, it is important that we make our individual goals focused solely on ourselves. We cannot have goals that are dependent upon other people. This is the reason that The Law of Attraction has become so popular with goal setters. Now that we have reviewed the expectations, focused attention, goal setting, and a number of personal development tools, we can look at an example that shows how we can unify our personal development approach. Wake-Up (30-40 Minutes w/ Meditation, Goal Review, Affirmations, and Conscious Questions): Each morning a prospective job seeker could take the time to enhance their self-awareness with meditation, review their ultimate and daily goals, repeat 1 to 2 affirmations, and take the time to explore internally with 1 or 2 conscious questions. This whole process would take between 30 and 40 minutes, with the majority (at least 20 minutes) spent in meditation. They could even bring the intention of exploring their limiting beliefs with them into their meditation practice. By reviewing their long term goals (i.e. Find a new job within 6 months), they are making sure that their brain continuously stay focused on the long-term goal, and by reviewing their daily tasks, they would make sure that their brain stays focused on the smaller steps. After meditation, they could also silently repeat a number of affirmations while cultivating life-affirming energy. For this particular individual, they may want to say, “I found my dream job and I am the happiest I have ever been.” Finally, by asking themselves 1 or 2 conscious questions, they could tap into their creative resources and find alternative solutions to roadblocks on their path to success.They may ask, “What can I do today to assist in my job search?” and “Why is finding a new job so important to me?” The first question can help this individual find creative solutions that may be used to assist in their search, and the second question reminds them of the definitive reasons to continue the process. Lunch (5 Minutes w/ Affirmations and Daily To-Do List Review): Since this individual is currently employed, they could take 5 or 10 minutes out of their lunch break to repeat their affirmations and review the list of things that they need to do later in the day. An individual should limit their daily to do list to 1 or 2 major tasks, as this will allow them to focus their attention solely on the most important activities. After Work (1-2 Hours Working on Daily Tasks): Right after our job seeker finished his work, he or she could take the time to complete the tasks that they have assigned for themselves that day. It may be that they need to apply for 1 or 2 jobs, it may be that they need to research potential university classes, or it may be that they need to sign up for a relevant seminar that is taking place in an upcoming weekend. By limiting the tasks to 1 or 2 major things each day, the individual can remain focused on the most important stepping stones and feel as if they have gotten closer to the ultimate goal. To achieve any particular goal it is important to have the right reasons, cultivate your expectations, and continuously focus your attention on both the long-term goal and needed short-term actions. By utilizing various personal development tools at different times throughout your day, you can make sure that your goal remains fresh in your head. Finally, by limiting your number of goals to 1 or 2, you can make sure that your resources are entirely focused on the things that are most important to you. If you are willing to unify your personal development approach in a manner like this, your ability to achieve whatever you desire will reach an entirely new level.